Located on the Central Coast of California nestled between wine country and the Pacific Ocean, Hearst Castle is an opulent mansion and one of the state’s top tourist destinations. Home of publishing tycoon William Randolph Hearst, this incredible “castle” and its grounds are best experienced through a guided tour. During a tour of Hearst Castle, you’ll gain insider access to the magnificent rooms and grounds of the mansion. 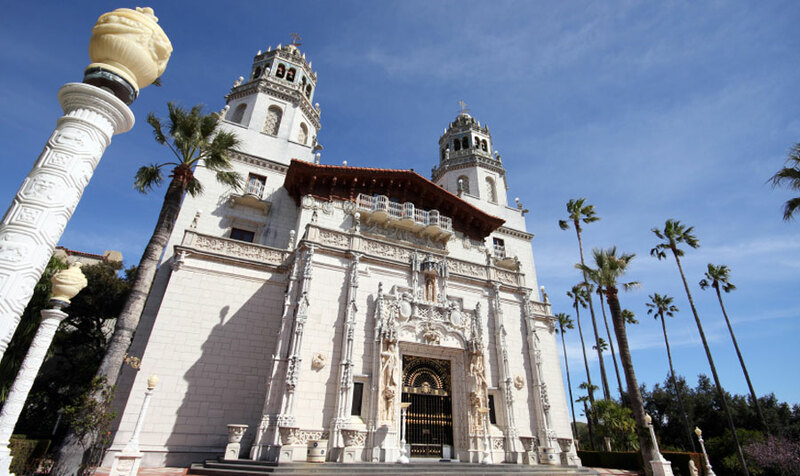 Choose between four Hearst Castle tours: Grand Rooms Museum Tour (recommended for first-time visitors), Upstairs Suites Museum Tour, Cottages and Kitchen Tour, and an Evening Museum Tour for night owls. All tours include the castle’s spectacular pools, the indoor Roman Pool and the outdoor Neptune Pool. Reservations are highly recommended for Hearst Castle tours, and can be made up to eight weeks in advance online. Tickets are $25 for adults and $12 for children ages 5-12 for all tours except the Evening Museum Tour, which is $36 for adults and $18 for children 5-12.